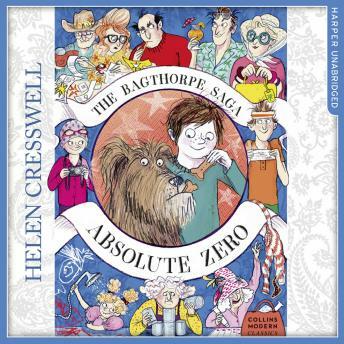 The second book in the super-funny classic series The Bagthorpe Saga, starring the TOTALLY unforgettable Bagthorpe family - from best-loved author Helen Cresswell. Bad, mad and brilliant to know - the Bagthorpes are back! Something even stranger than normal is happening in the Bagsthorpe house. Ever since Uncle Parker won a luxury cruise in a competition, the family's gone competition crazy. Only Jack and his trusty dog Zero are staying out of it. So just how does the mixed-up mutt become the most famous dog in Britain?